Well, the truth of the matter is that it wasn’t “Easy Come” at all. It took a lot of work to learn the platform, contact vendors, follow up with vendors, set up accounts, help vendors through the process, etc. Much of this past year, we have been working to create the SCBBQ Marketplace, a central online location where SC-based BBQ vendors of all sorts could come to sell their products. It was (and is) a great idea whose sole purpose it was to promote SCBBQ in general and individual vendors in specific. While we did do a “soft launch” a little over a month ago, we never fully announced it to our followers and never started our first advertising campaign. This was in part because we were still on-boarding vendors (a process that proved much more challenging than we ever imagined) and in part, because the numbers we had on-boarded we felt were too small to go for a full-scale launch. We have some great folks onboard and we are very grateful to them for taking a chance and believing in what we were trying to accomplish. There were many more who had verbally committed to joining in, but they have not yet followed through on that promise. So why is the market closing? Well, the soft launch was not very promising and didn’t result in many orders, which was a little surprising. In reflection, given the small numbers we introduced it to, maybe it shouldn’t have been too surprising. Arcadier announced the end of the free plan about a month ago. We have eliminated choice #1 and are currently considering 2 and 3. The current market will shut down in 7 days. In the meantime, we will step back and reconsider our options for #2 or #3. On the one hand, given the difficulty of getting vendors interested and the lack of interest/purchases from our audience, shutting down seems like the most logical option. However, we do believe in the idea, so we may eventually jump to #3 and purchase our own marketplace platform that we own and control. Another idea that seemed to generate more interest from the SCBBQ vendor community is to create a central online location to book SC-based BBQ caterers. So that is another option for us to consider. Until then, please take a look at what we began and, if you have a moment, please send us your thoughts on the marketplace and what you would like to see us offer in the future (if anything). Don’t let this die. GREAT IDEA! 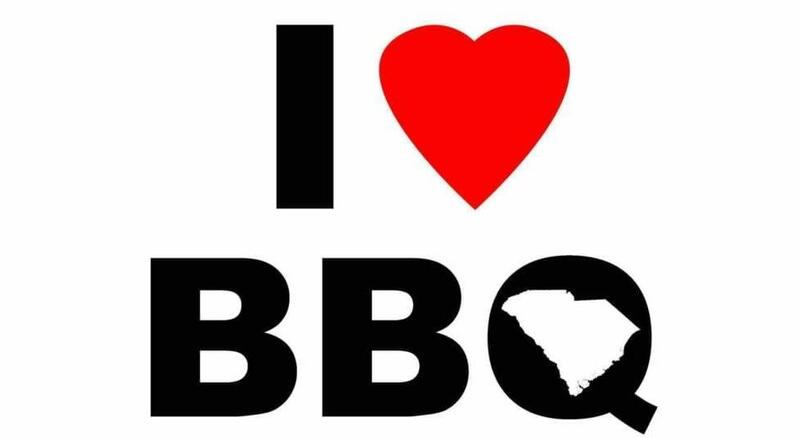 I want a I❤ SC BBQ bumper sticker! I hear ya! In similar eye-opening instances I’ve seen that it’s very hard to inspire trust in anything Internet-related. Despite the fact that I can sell, I’m totally on the up and up, but just add “computers” and “Internet” and money / business or transaction, and people short-circuit and freeze up. Hang in there, it ain’t over. Thanks Burton! Woo Commerce (with a few add-ons) is likely the option I’ll pursue if we attempt this again in the future. Really, the hard thing was getting vendors onboard, which was my biggest surprise. Seems to me if you sell a product, you might want to get it in front of customers any way you can, but clearly that was not a priority for many. And there’s nothing wrong with that. Restaurants are a tough and busy existence, and BBQ makes it even tougher. No surprise, I guess, that time is at a premium and selling a few bottles of sauce might not be worth the already too limited time they have as it is. James – you and your team did a good job on this. I lobby for the option to migrate your work onto a platform you own and control. I’ve seen that WooCommerce is an option to consider, it has the needed feature set. The SC BBQ community owes you much thanks for your vision and efforts!